Fans of American “football” can head on into Google Play to pick up the newest grid iron-loving app, NFL Now. 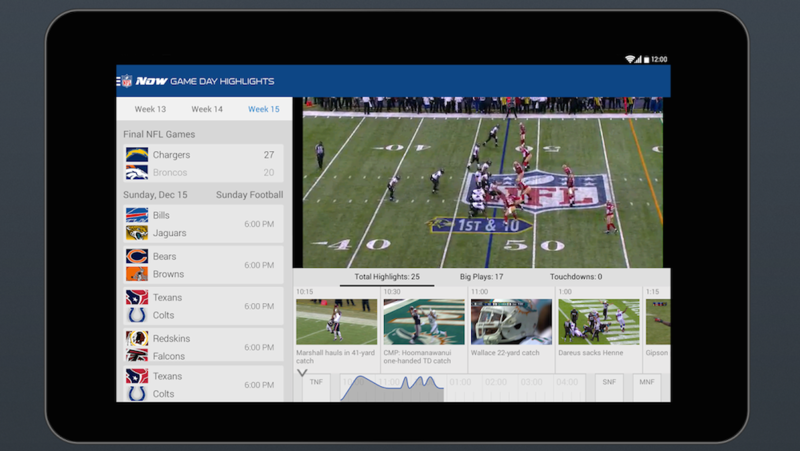 Think of NFL Now as MLB’s At Bat app, which offers customized content for each person that uses it. When first downloaded, you select your favorite team, then let the app build a stream personalized for you. As the season starts picking up, hundreds of new videos are added daily to the service, making the service a must-have for fans. Not only are there new videos added, but NFL Now boasts the “deepest NFL library anywhere.” Sounds intense. Unfortunately, users cannot stream full games through the app, since that would break the NFL’s deal with DirecTV. However, paid subscribers can watch highlights from every game as they take place, which is a pretty good alternative. As a note, a few features marked with “*” of NFL Now require a paid subscription, which is only $1.99 a month. Can’t beat that price. For more info, check the NFL’s full Now site here.